Fraud poses a significant threat to the Internet. 1.5% of all online advertisements attempt to spread malware. This lowers the willingness to view or handle advertisements, which will severely affect the structure of the web and its viability. It may also destabilize online commerce. In addition, the Internet is increasingly becoming a weapon for political targets by malicious organizations and governments. This book will examine these and related topics, such as smart phone based web security. 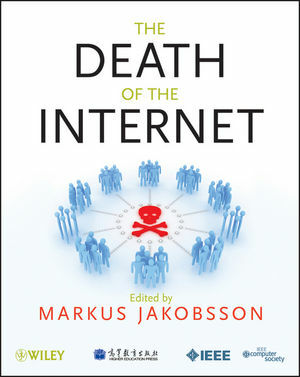 This book describes the basic threats to the Internet (loss of trust, loss of advertising revenue, loss of security) and how they are related. It also discusses the primary countermeasures and how to implement them. MARKUS JAKOBSSON, PhD, is Principal Scientist for Consumer Security at PayPal. He is the founder of the security startups RavenWhite and FatSkunk and has held positions at Palo Alto Research Center, RSA Laboratories, and Bell Labs. The editor of RSA's technical newsletter CryptoBytes, Dr. Jakobsson holds numerous U.S. patents, has published more than 100 articles, and authored and edited several books, including Phishing and Countermeasures: Understanding the Increasing Problem of Electronic Identity Theft (Wiley). He has been interviewed on the subjects of phishing and crimeware on NPR, BBC, and other high-profile media outlets.